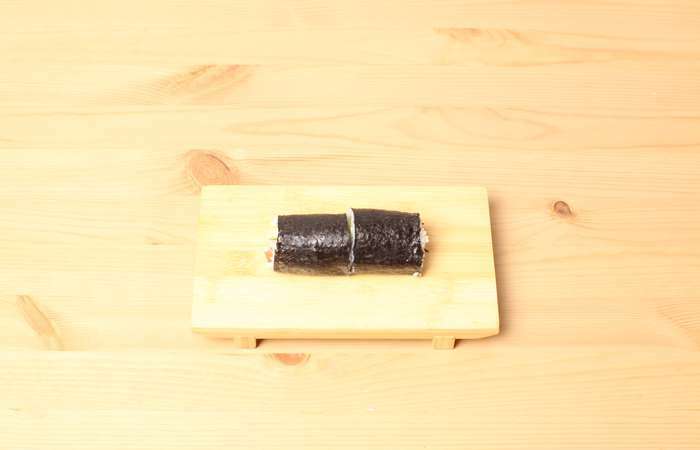 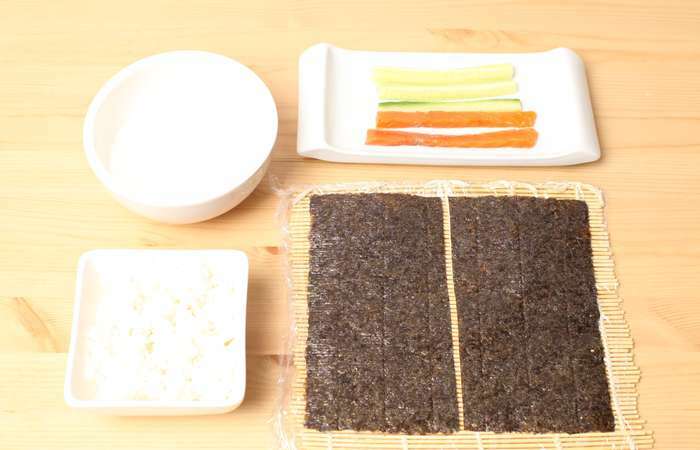 Step 2: Place the nori on the mat shiny side down. 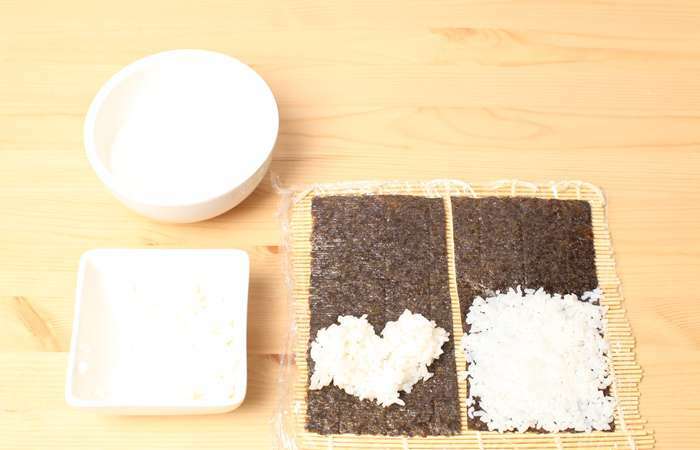 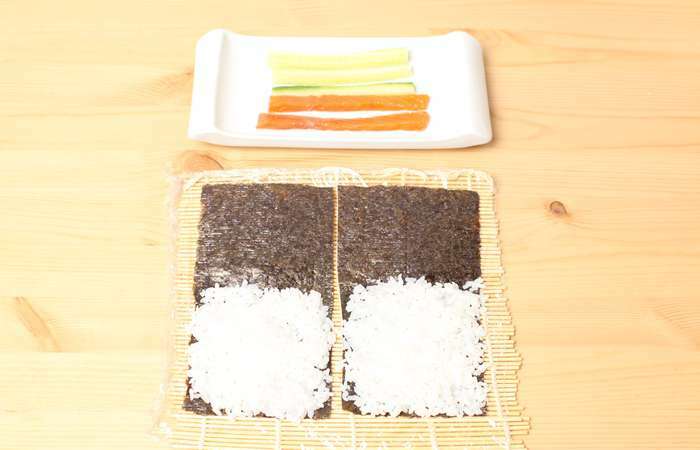 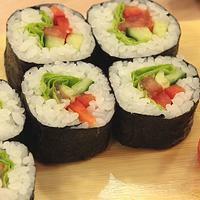 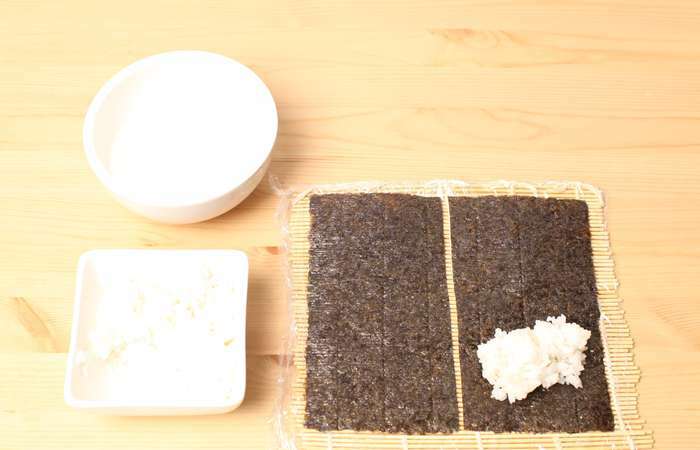 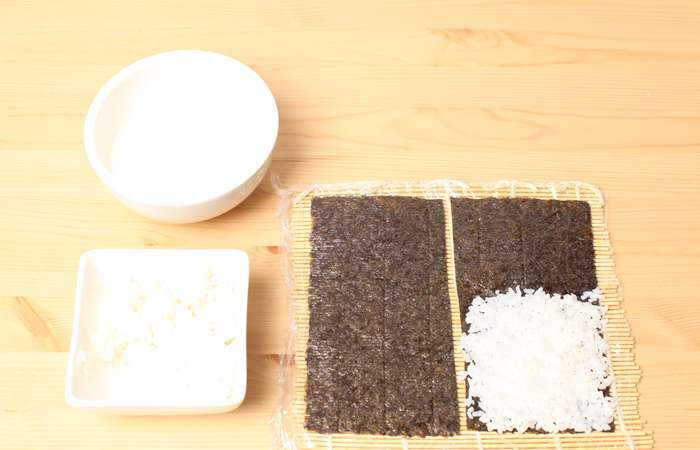 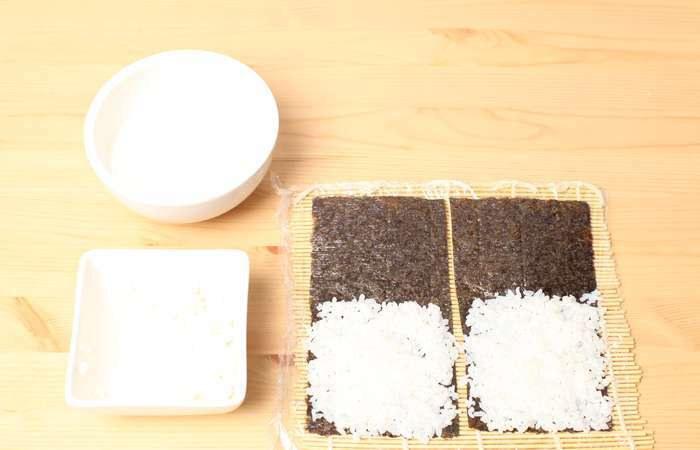 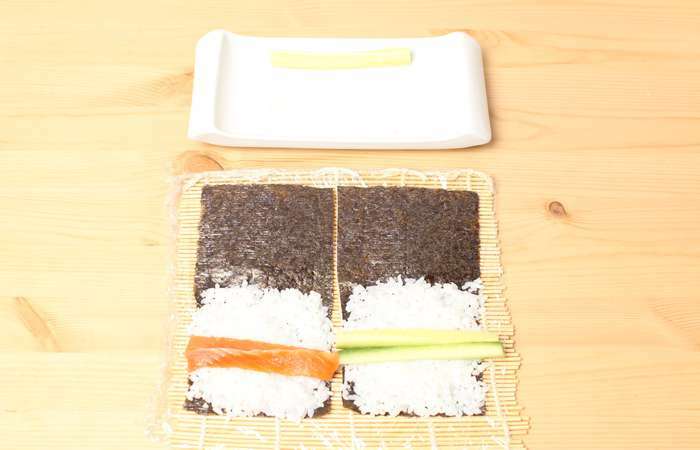 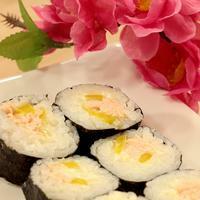 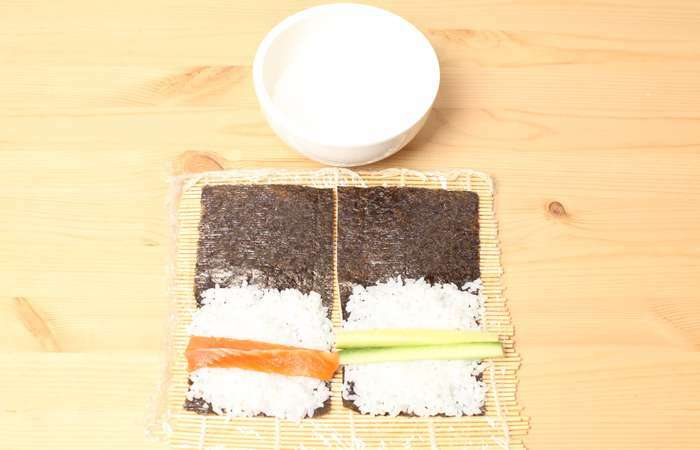 Distribute the rice to half the nori sheet. Step 3: Put a piece of cucumber on one side. 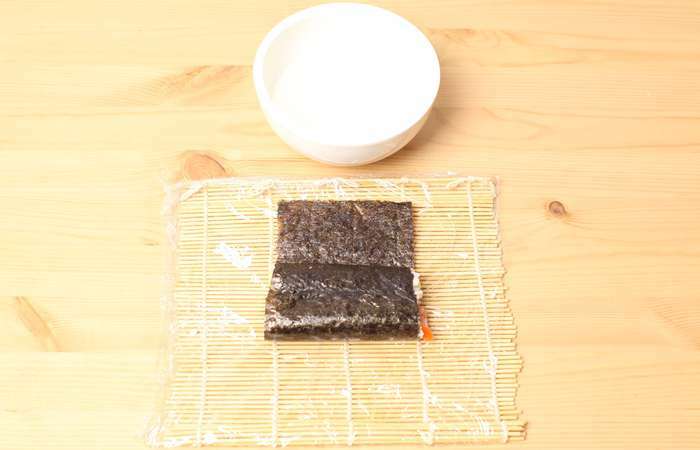 Step 4: Put the salmon on the second nori sheet. Step 5: Position your thumbs under the edge of the mat closest to you and start lifting it. 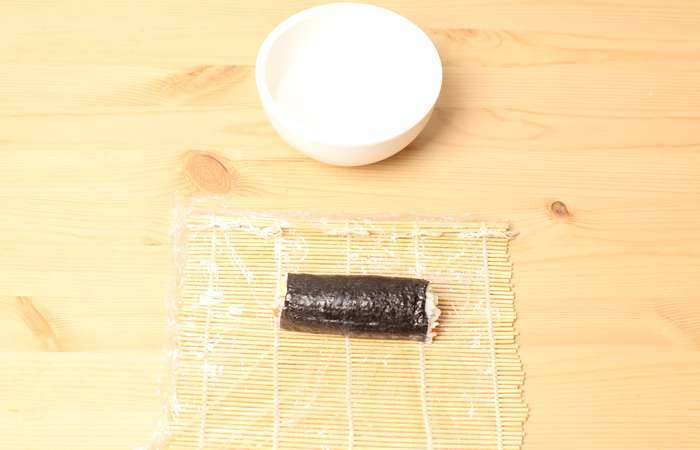 Step 6: Put one roll next to the other. 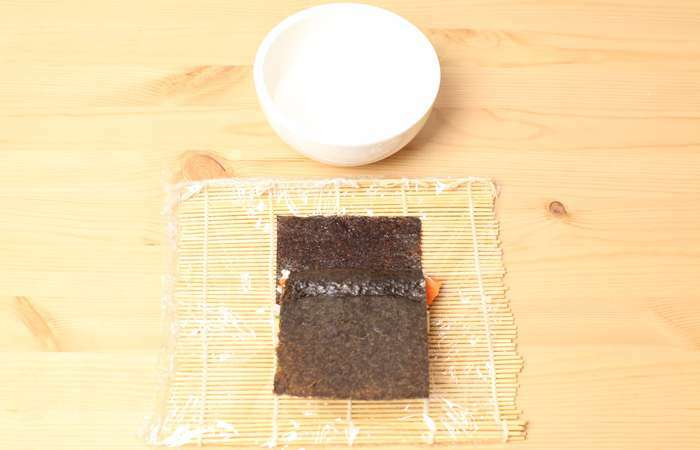 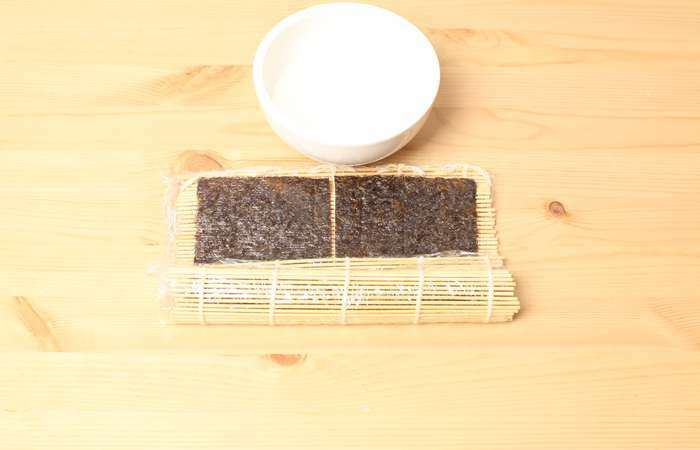 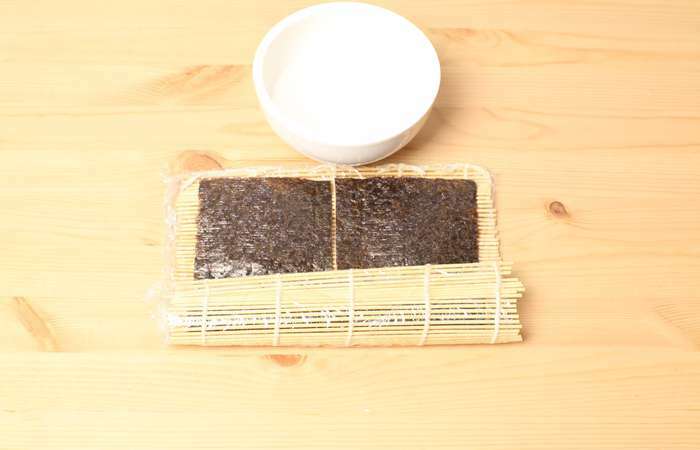 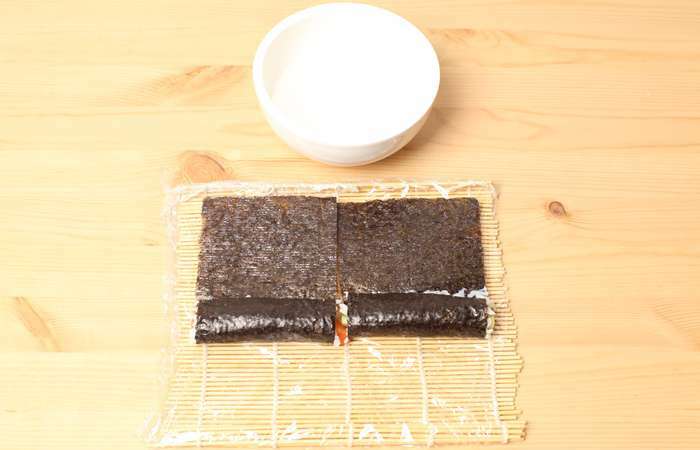 Grease nori sheet with water to glue them together. Squeeze the roll and form a cylinder. 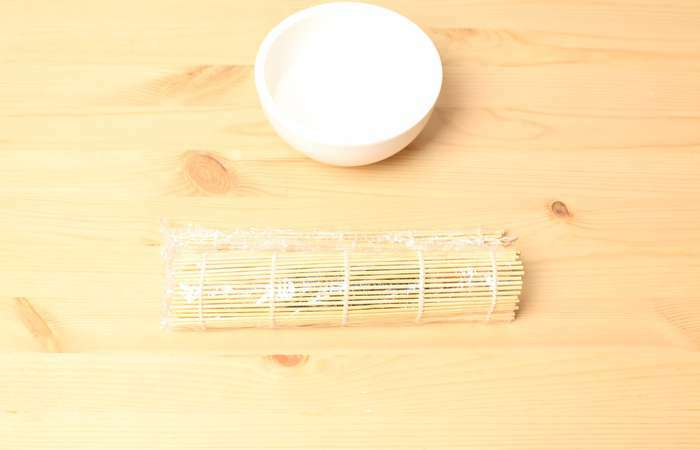 Step 7: Put the roll on the cutting board and cut it in half with a wet knife. 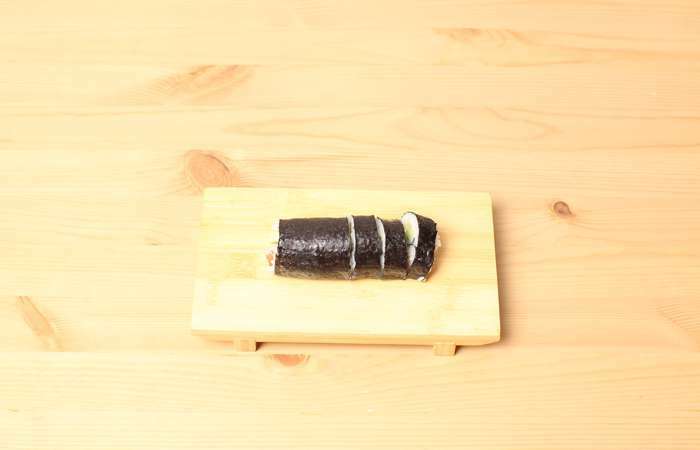 Cut both parts into three to get six pieces. 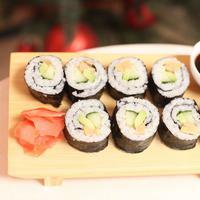 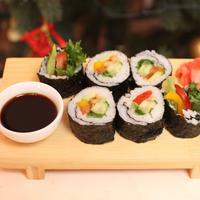 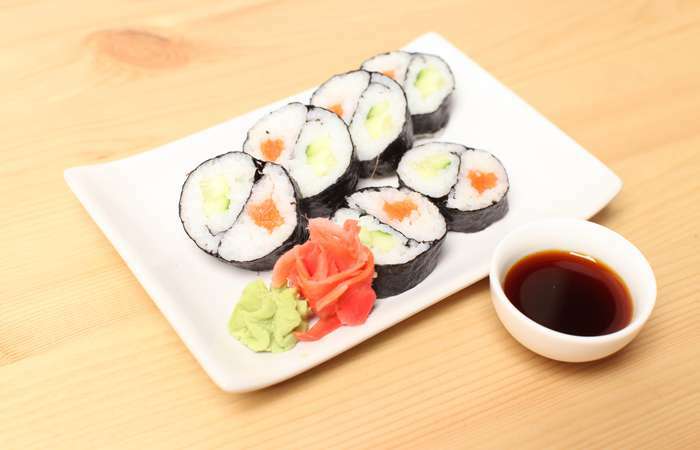 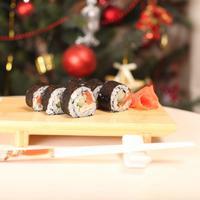 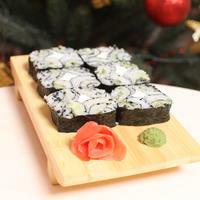 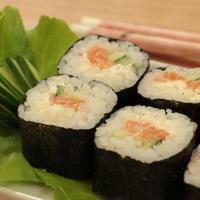 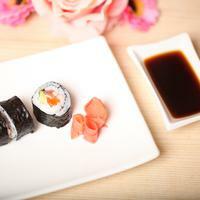 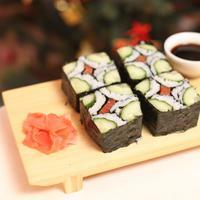 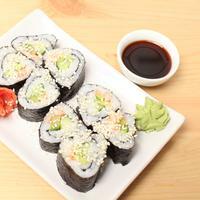 Step 8: Serve with soy sauce, wasabi and pickled ginger.